When I started reading this book, I thought there had been a mix-up, because what I was reading didn’t match what I had read in the blurb. But as the story went on it all became a little clearer and made a lot more sense. *silly me*. When the story got going, I found it to be really quite cute and heart-warming, and at times a little emotional. For a short story, it was a really satisfying little read. Dane and Carter met at Carter’s urgent care clinic when Dane had become unwell. The two men hit it off straight away and found that they wanted to spend more time together. 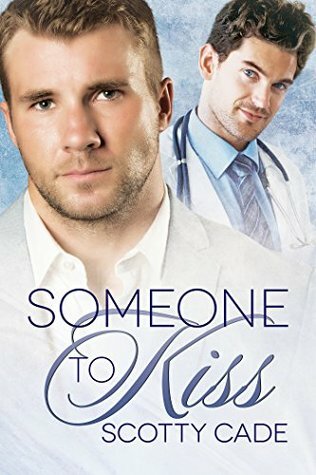 As the relationship progresses and things start to get more serious between them, Dane’s best friend and boss, Bill, drops the bombshell that Dane is being re-assigned to another job in Virginia and then Seattle, which will last for about 18 months. Carter and Dane are both devastated by this news and know that it means the end of their relationship. Dane can’t stay where he is because it would mean letting Bill down and giving up a job that he enjoys, and Carter can’t give up his clinic that he’s built up to move with Dane either. The story is mostly about the two men reminiscing about the four months since they met. Their first date, their first kiss, and their first holiday season. But it’s also about the pain and hurt of giving up on someone and something that you really don’t want to because in your heart you know that what you feel is real, and what’s happening isn’t how you planned on it going. I liked this book a lot. The story was a great concept and a little different from the usual super-sweet Christmas/holiday stories that I’ve read. The author really brought the characters to life with all of the different emotions that they went through. It was very sincere. The ending was what really clinched it for me though, it was just adorable and perfect, and I didn’t know whether to smile or cry. So yeah, this is a book I’d definitely recommend, it’ll put your heart through the wringer, but in the end, you’ll be left feeling all warm and fuzzy.